After the first shot came through his living room window, Pebbles ran upstairs, grabbed his 9 mm handgun and hid in the bathroom. He remembers hearing the broken glass crunching as the shooter made his way up the stairs looking for him. “That to me was the moment where I was like, ‘Oh God, this is, this is life or death right now,'” recalled Pebbles. Self-defense is the number one reason Americans buy firearms. But very few people know how they’ll respond if they actually have to use their gun. And taking a life, even if it’s justified, can have a long-lasting emotional impact on a person. Pebbles describes himself in the frenzy of the attack as being crazy. He tried to climb onto the bathroom counter before he realized the position made no sense. When the man finally entered his bedroom he was six feet away. Police say Pebbles fired four times and Pebbles said he missed a few times before killing the man. Police still don’t know why the shooter attacked Pebbles and his roommate. Studies suggest instances like this are exceedingly rare. A 2015 study found that self-defense gun use occurs in less than one percent of all crimes when the victim and perpetrator encounter each other. Researchers looked at more than 14,000 instances when the victim was present, what are known as “contact crimes.” After taking any defensive action – using a bat, for example – 4.2 percent of victims were ultimately injured in the attack. That’s compared to 4.1 percent of victims who were injured after using a firearm. So wielding a gun was found to be no more helpful than other defensive maneuvers. Pebbles is the first to admit he’s no sniper. But he’s comfortable with a gun. He goes shooting about ten times a year and says when he first bought his handgun he looked around his house for blind spots and corners. Beyond that, he said, he never imagined he’d have to use his gun. “Was I prepared? Not really,” he said. That night, he composed himself enough to call 911, find a safe place, and, ultimately, protect himself. Missing from six feet away may sound hard to believe, but if Pebbles fired four times and only hit the intruder once, research suggests that is above average, even for well-trained professionals. People who train for this situation, like soldiers and police, miss. A 2006 paper published in the journal Police Quarterly looked at New York City Police Officers’ exchange of gunfire. The researchers found officers missed 82 percent of the time when they were being shot at. When NYPD officers are being shot at, their return fire only hits the intended target 18 percent of the time. “One of the first things the body does is, it’s called vasoconstriction,” says retired Army Lieutenant Colonel Dave Grossman. Grossman, a former infantry officer and West Point psychology professor, wrote a book called On Killing about the psychological cost of learning to kill. He says adrenaline has a severe impact on your ability to do things that would normally be easy. “The body shuts down the blood flow to the outer layer of the body in preparation to take trauma,” explained Grossman. That’s called vasoconstriction. And it has other impacts. “The dynamics that are happening…it’s kind of loss of fine motor control, a loss in your vision, tunnel vision, auditory exclusion,” he said. This isn’t an adrenaline rush like that one time you went skydiving. “It’s something unlike anything you’ll ever experience,” Grossman said. That’s why the military and police induce stress during training. Whether it’s simulated gunfire, sleep and food deprivation, or the classic drill sergeant screaming while recruits struggle to function, the idea is that trainees will be better prepared for real life situations. It’s also why they do thousands of repetitions. 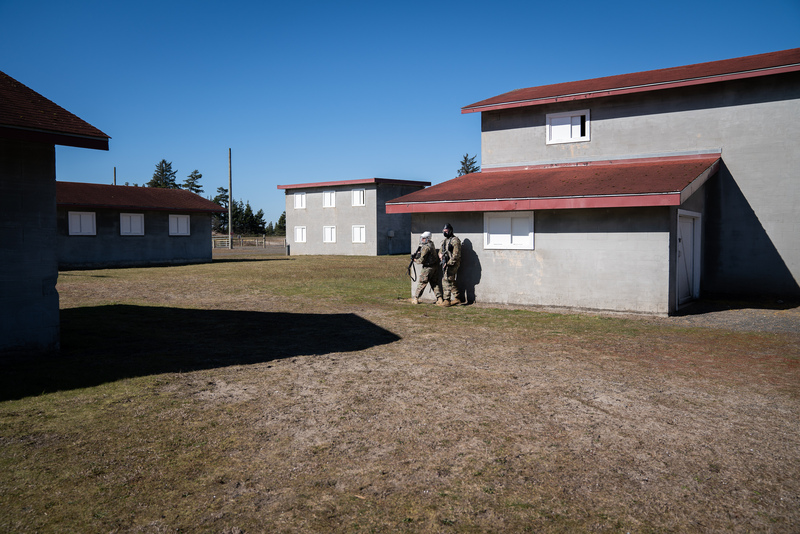 Soldiers in the Oregon National Guard’s 741st Brigade Engineer Battalion clear buildings in a fake city on March 2, 2019, at Camp Rilea, Oregon. This past February, Major Chris Clyne was watching combat engineers with the Oregon National Guard’s 741st Brigade Engineer Battalion practice room clearing and door breaching. Clyne is the Brigade Public Affairs Officer, but he started his Army career over 20 years ago as an infantry soldier in the 75th Ranger Regiment, an Army special operations unit. “They were always training and it would be weeks of range time,” says Clyne, talking about his time with the Rangers. Day after day they would practice what are called “ready ups.” That’s where soldiers stand about 50 feet from a target and in quick succession raise their rifle, aim and fire two rounds. Then repeat. Again and again. Clyne said they would do that for days on end and that to this day it’s muscle memory for him. But even after all that training, his first experience in combat was a bit of a shock. “And then I get in a firefight and I feel like my guts turn and I’m like holy s— I could die,” he said. It also took a few moments for his muscle memory to kick in. Those initial moments are likely because of the surge of adrenaline Clyne was experiencing, like what Lt. Col. Grossman described. 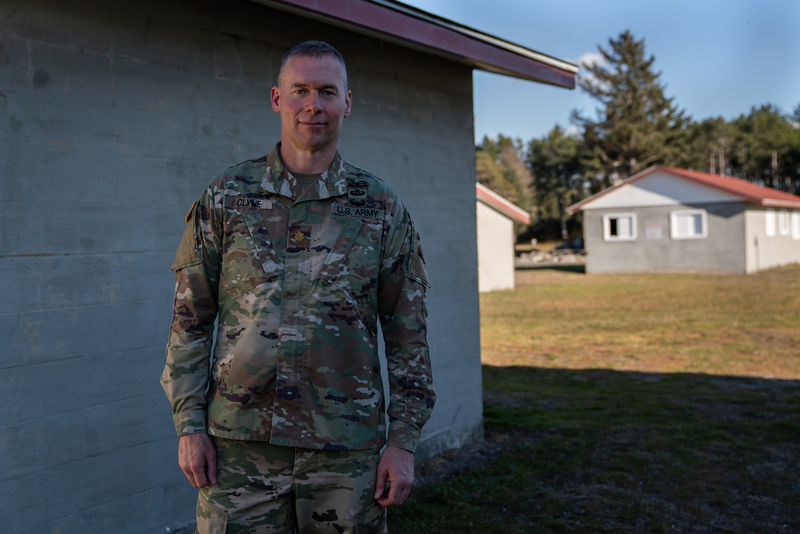 Maj. Chris Clyne stands for a portrait on March 2, 2019, at Camp Rilea, Oregon. Clyne is a public affairs officer with the 41st Infantry Brigade Combat Team but began his army career 20 years ago as an infantry soldier in the 75th Ranger Regiment. But taking life, whether it’s in self-defense or in war, can have an impact on a person. Major Clyne said he joined the Army wanting to be Rambo. 1980s TV culture had glorified violence and primed him for war. The impact of killing is a relatively new field of study experts call moral injury. 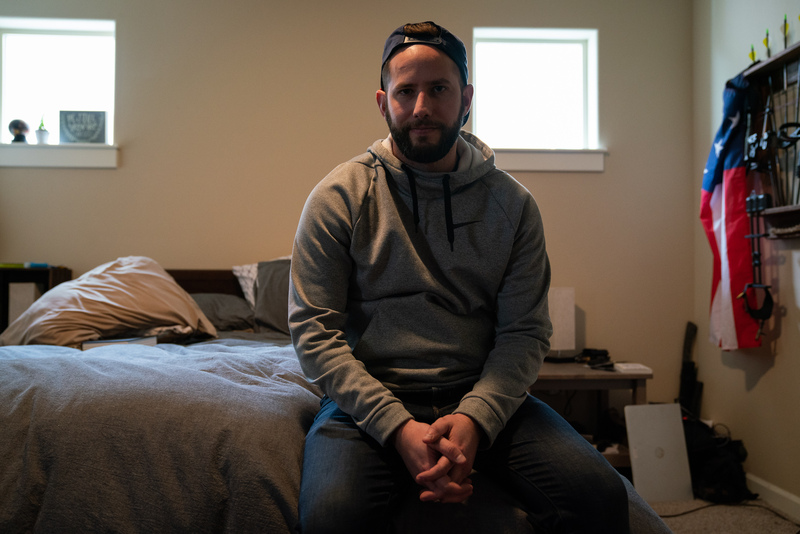 Matt Gray, a professor of clinical psychology at the University of Wyoming studying combat-related trauma and moral injury, says killing is the ultimate human taboo. Whether it’s in combat or a civilian in self-defense, Gray says killing another person isn’t something most people find easy to do. “It’s something that is certainly associated for most people with a great deal of guilt and self-blame and second-guessing,” Gray said. But Gray says moral ambiguity is one of the key determinants of how an individual will be impacted. If someone replays an event in their head and sees different potential courses of action they are more likely to feel guilt and self-blame. Self-defense was the only choice Brennan Pebbles had and the necessity of the shooting was never called into question. But he also has a supportive family and a pastor whom he talks to regularly. All of these things help reduce or eliminate any moral ambiguities which could explain why, five months later, Pebbles says he’s more concerned with his future than with dwelling on the past. Still, he says he’ll never take it for granted that he survived and two other people didn’t.